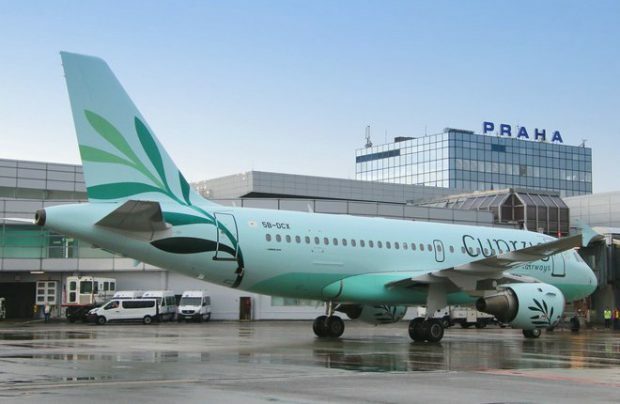 One year after its launch, Russia’s S7 Group-backed Cyprus Airways (a brand name used by Charlie Airlines) has taken delivery of its second Airbus A319. The CFM56-5-powered aircraft (registration number 5B-DCX) is being integrated directly into the company’s summer flights schedule. “We are very excited to welcome this new addition to our family,” states Natalia Popova, chief commercial officer of Cyprus Airways. “Today’s delivery is a testament to Cyprus Airways’ commitment to continued expansion,” she adds. The two Airbus A319s, identically configured with 144 seats in a single economy class layout, are both 18-years old and were previously operated by affiliated S7 Airlines. Charlie Airlines is a Larnaca-based carrier established by S7 Group’s Vladislav Filev, co-owner of Russia’s second biggest airline group. The carrier, which in 2016 acquired the right to fly under the brand of the defunct Cypriot national carrier, launched operations in June 2017 with Larnaca-St Petersburg service. With two aircraft now in its fleet, the airline has expanded its network to ten destinations, flying low-frequencies from Larnaca International Airport to Athens, Munich, Prague, Stuttgart, Verona, Zurich, St Petersburg, Tel Aviv, Chania and Beirut. Flights to Novosibirsk in Russia are code-shared and operated by S7 Airlines.